What is California Graduated Driver’s License? The California Graduated Driver’s License is a step-by-step process for teen drivers to gradually build up driving experience before California DMV issues a full and unrestricted driver’s license. The purpose of the California Graduated Driver’s License (GDL) Law is to minimize the number of injuries and fatalities for teen drivers. As you probably already know, teen drivers have the highest crash risk per mile traveled. New teenage drivers often overestimate their driving abilities and underestimate highway dangers. To reduce the number of crashes and fatalities, California introduced the first teen licensing program (called the provisional licensing program) in October 1983. Even if this program reduced teen crash rates, young drivers remained the single highest risk age group. In 1998 California introduced the new California Graduated Driver’s License Law. This new law added nighttime and passenger restrictions during the provisional driver license phase. To get a Minor’s or Learner’s Permit you must be at least 15 years and six months. Both you and your parents (or legal guardian) must sign a driver’s license application. You can fill out the application online and sign electronically. If you are under 17 years and six months, you must show proof that you are enrolled and participating in an approved integrated driver education/driver training program. If you have completed a driver education, you must show a Certificate of Completion. 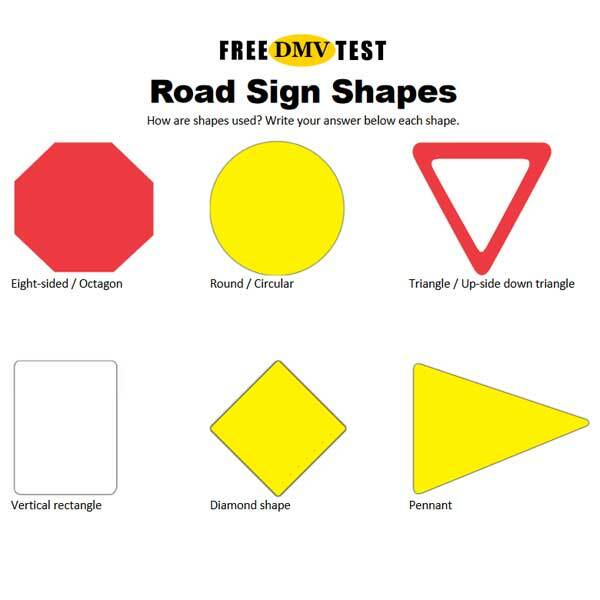 Finally, you must pass the California DMV knowledge test and a vision test. Use the practice tests here to prepare for the California knowledge test. If you fail the test, you must wait at least 7 days before you can take the test again. Before visiting a DMV office, you should also make sure you have all necessary documents showing your identity, birth date, true full name, residency, and/or legal presence. 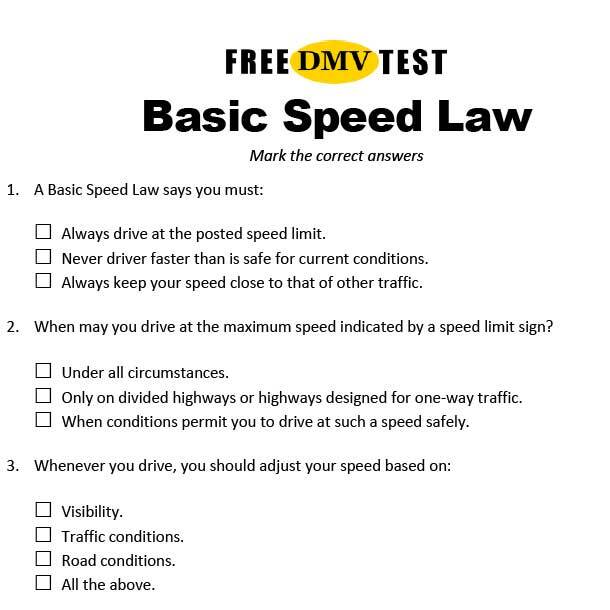 To learn more about which documents DMV accepts see this list: Requirements for a California Driver License (FFDL 5) Fast Facts. The Learner’s Permit is also known as a Provisional Permit. The permit allows you to practice driving with a parent, spouse, legal guardian, or a licensed or certified driving instructor (no age requirement). You may also practice driving with any licensed California driver 25 years of age or older. Once you have your learner’s permit you must get it signed by a licensed or authorized driving instructor. Permits are not valid until they are signed or until you are 17 years and six months. At this point, you should have completed driver education. When you practice driving, a supervising driver must sit beside you in a front seat. He or she must be able to take control of the vehicle, if necessary. It is illegal for you to drive alone at any time. You must hold the permit for six months before you can take your driving test to get your driver license. Have completed your driver education. Complete 6 hours of professional driver training. Practice driving for at least 50 hours, of which 10 hours must be at night. Hold your permit for at least six months. A provisional license is the second step of California Graduated Driver’s License System. It allows you to drive alone without a supervising adult. If you got your provisional permit when you were 15 years and six months, you are now 16 years. DMV doesn’t issue a provisional license if you are under 16 years. 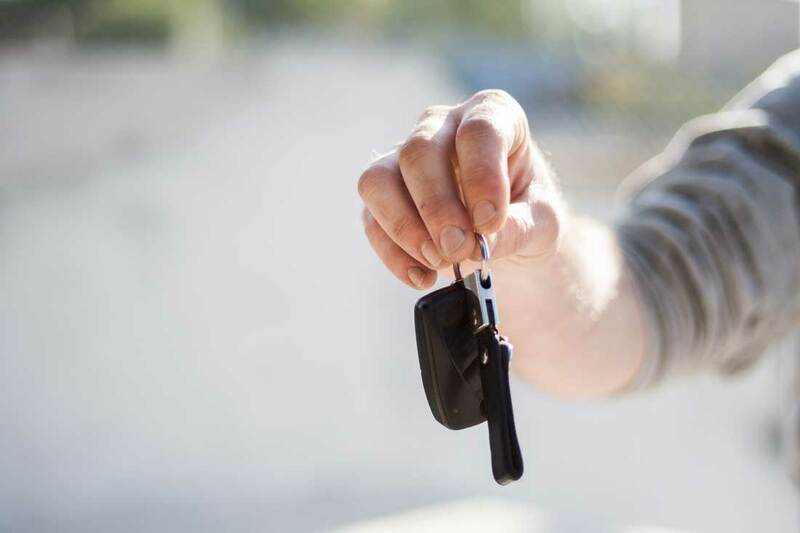 To get your provisional driver’s license, you must pass the behind-the-wheel drive test. You must schedule your test appointment with DMV, which you can do online at dmv.ca.gov. The the examiner will do a vehicle safety check before your driving test begins. Your vehicle must meet the DMV’s minimum safety requirements, so make sure it is in good condition. Remember, since you still have a provisional permit only, you cannot drive alone to the DMV office. Is the Behind-the-Wheel Test Hard? Most people are nervous about both the knowledge test and the behind-the-wheel test. If you are sufficiently prepared, have practiced enough, and can stay calm, both tests are fairly easy. The passing rate on the knowledge test is about 60% in California and as many as 85% pas the behind-the-wheel test. What Should I Expect on the Behind-the-Wheel Test? During your practical drive test, an examiner will note how you handle your vehicle in normal traffic situations. He or she will also focus on how you obey the rules of the road and traffic signs and/or signals. Don’t rev the engine or accelerate too quickly. You should press gently on the accelerator when increasing speed. Avoid sudden movements. You should turn smoothly and brake early before a stop. Don’t forget to look behind you before stopping and check blind spots before turning or changing lanes. Check your surroundings by frequently using all mirrors. Remember to signal before all lane changes and turns. Keep an appropriate speed. Driving too slow in traffic can be just as bad as driving too fast. Follow others at a safe distance (minimum three seconds). Don’t stop on crosswalks, look for the stop line at intersections. Adjust your driving for existing weather and other traffic conditions. Don’t forget to turn on headlights in bad weather. Don’t question instructions given by the examiner. He or she will not trick you or ask you to do something that is unsafe. During the test, the examiner will ask you questions and give you directions but they will not engage in general conversation. After passing the practical driving test, DMV issues a provisional driver’s license. This license allows you to drive without a supervising driver. The license is still provisional, which means that it comes with a few restrictions. You should also note that if you are under 18, you cannot be employed to drive a motor vehicle. What are the Restrictions on the California Provisional License? During the second phase of California Graduated Driver’s License process, there is a night-time curfew and a passenger restriction placed on your license for the first 12 months. You cannot drive alone between 11 pm and 5 am during your first year after getting your license and you cannot give anyone under 20 years a ride (even if this person is an immediate family member). The restrictions apply during 12 months from the time you are given the provisional license or until you turn 18. There are some exceptions to the restrictions placed on your license. You may drive with passengers under 20 years if you are accompanied and supervised by a licensed driver who is your parent or guardian, a licensed driver who is 25 years of age or older, or a licensed or certified driving instructor. Note that a licensed spouse under 25 years cannot act as a supervising driver here. The same applies to the night-time curfew. You may drive at night if you are accompanied and supervised by someone mentioned above. The licensee is an emancipated minor. What Happens if I Violate the License Restrictions? A police officer cannot stop you for the sole purpose of checking if you are in violation of the restrictions. But if you are pulled over for any other violation, the officer may also make sure that you haven’t violated the license restrictions. If the officer decides to give you a ticket, you may get two tickets. One for the moving violation and one for violating the restrictions. The penalties for violating the restrictions include fines and community service. After 12 months, or if you turn 18 before this date, the restrictions are automatically lifted from your license. 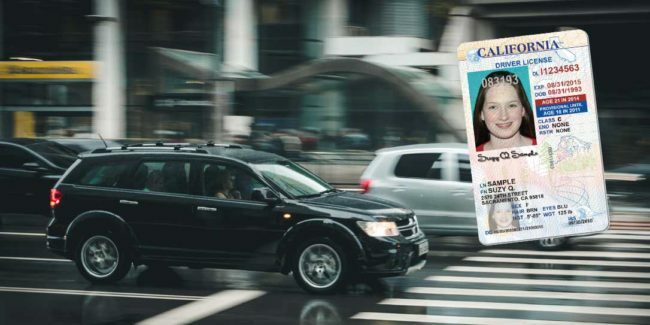 Your California Driver’s License is now unrestricted and you can drive at any time and with passengers under 20 years. If you are 18 years or older, you may also be employed to drive a motor vehicle. Cover photo by Kaique Rocha from Pexels.